Don't lose your heads (or... other body parts...), but Fantasy Flight Games has announced a new card game based on A Game of Thrones. 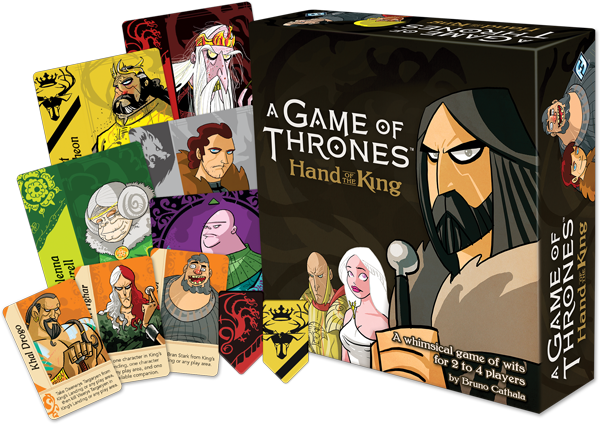 It's called Hand of the King and it pits the various houses of Westeros against one-another in order to become the real power behind the throne as the king looks to select a new Hand. In the game, players are looking to be the one with the most influence in King's Landing. They'll do this by making deals with Varys, the Master of Whispers. Only one will be able to work their way into the position of power. Everyone else... well... wooden body part replacements are over in the marketplace. 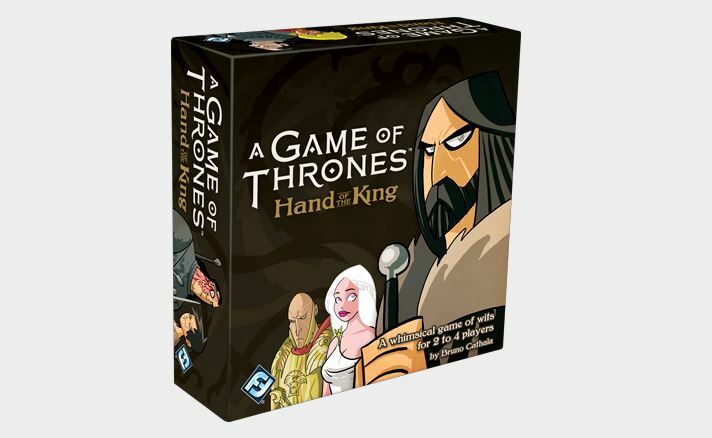 Hand of the King will be available sometime in the 4th quarter of this year.